The United Nation Children’s Fund UNICEF on Monday held its mid-year review meeting with Kaduna State implementing Ministries, MDAs Agencies to strengthen interventions in health, nutrition, water, sanitation, hygiene and education among others. The goal of the meeting according to organizers “was to accelerate the realization of the rights of all children and women to survival, development, protection and participation. Speaking at the opening of the event, Chief of Field Office, UNICEF, Kaduna, Mr Uptal Moitra, explained that the 2016 mid-year review meeting was necessary to assess achievements and constraints on planned result for 2016 and to ensure better performance. “We wants to document lessons learned from implementation experience to help accelerate progress for the most disadvantaged children. “We want to Identify constraints, challenges, bottlenecks encountered in course of implementation and how these were addressed or are being addressed to accelerate achievement of results, “he said. He added that the state level planning and review was introduced in 2014 to ensure the programme of cooperation to address peculiar needs of children and women. Moitra, said the 2016 mid-year review was combined with planning meeting for 2017 because of the need to align UNICEF planning with that of government at the Federal and State levels. “This is to ensure all Federal and State government counterpart contributions are captured in the annual budget. “The meeting will also enable us identify priorities and emerging opportunities for the remaining half of the year and for 2017 work plan. “The 2017 work plan would be prepared based on identified priorities and emerging opportunities. “At the end of the day, the Mid-year report would summarized achievements against planned results or outputs, constraints and challenges experienced, lessons learned, including good practices, innovations, partnerships, and recommendations, “he said. In his address, the state Commissioner for Health and Human Services, Dr. Paul Dogo said that far reaching steps are being taken by the state government to strengthen the state’s 2016 budget implementation plan. 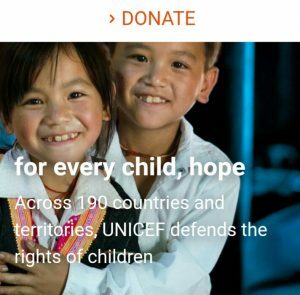 “One of the best practices we have learned from UNICEF is having reviews such as this and fortunately, reviews are gradually becoming a part of us. “So far, such review is helping the state to ensure better performance in what we will be doing in next 6 months. It’s really of good advantage for us, “Dogo noted.